Silver prices are expected to average $15.8 an ounce next year and $16.1 an ounce in 2016, said Natixis in a Metals Review. Based on Natixis positive outlook for the US economy (modestly rising US yields, appreciating USD), and additional downside risks attaching to silver prices (low cash cost of production, potential for sales from ETPs). So far this year silver prices have fallen by 10%. The strong correlation with gold meant that the price of silver dropped as a result of a stronger dollar and US economy. 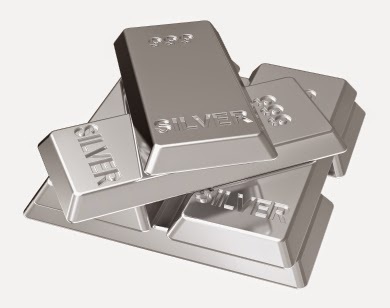 Although silver mine supply is increasing, the drop in silver prices has led to a contraction in supply of silver scrap. As for demand, Natixis main concern remains the ever increasing amount of silver being held in physically-backed ETPs.